This week I’m back in Zermatt, Switzerland, one of my all-time favourite ski resorts.I’m having a great week’s skiing with the Ski Club of Great Britain, a unique organisation that allows members to be guided around the mountain by Club Leaders who find all the best pistes and restaurants – not to mention a ready-made gang of cronies to hang out with after the lifts close. It really is a unique service they offer, perfect for the skier who arrives out solo. The snow has been fine all week both on- and off-piste, if a bit icy in the mornings and a bit slushy in the afternoons. below you can see the well-known Gornergrat Observatory, right at the top of one of the main runs – can someone please organise a cosmology conference here ? 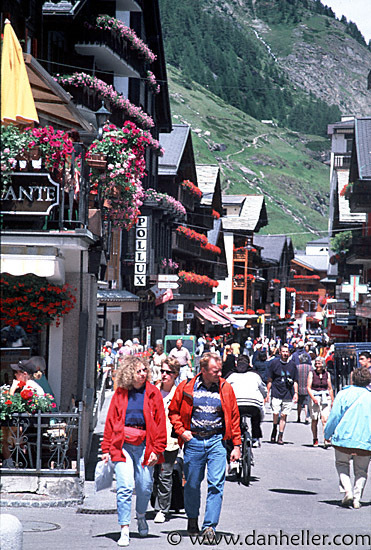 Zermatt village is as gorgeous as ever, the archetypal Swiss ski resort, with superb restaurants, no cars and unbelievable views. I am often tempted to come down off the mountain early, just to stroll down the Hauptsrasse and look at the sights, but it hasn’t happened yet. It’s not always the most relaxing of holidays, of course. First there’s the organisational challenge of getting oneself to the meeting point at 9 am sharp each morning with skis, poles, boots, hat, gloves, goggles, shades, transceiver, rucksack etc. I also had problems adjusting to the altitude for the first few days, plus my fancy skiboots have been killing me all week, not unusual when I haven’t used them in a while. I’ve had to become reconciled to the fact that off-piste is now pretty much beyond my fitness level. ..but none of that stuff matters much when you get up top! 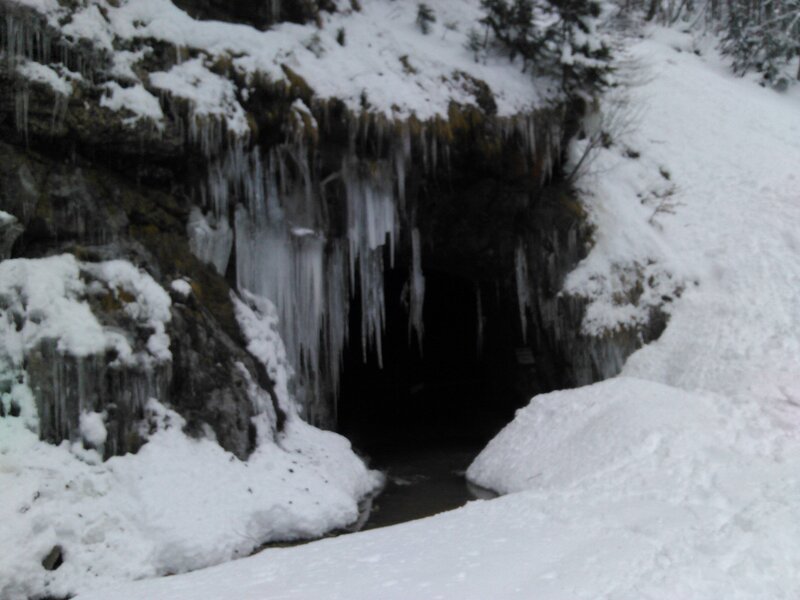 Last week, I returned to the snow world for the first time in a long while. The college teaching semester starts on Monday 12th, and I managed to get my corrections done over Christmas, leaving a precious few days over. I had intended going to a conference on relativity and spacetime in Israel, but in the end I decided I was more in need of a few days holiday, not to mention some exercise! ‘Tis well for some,you might say, and indeed it is. For those who can, the week after New Year is a very good time for a snow holiday – cheaper and less crowded (and little danger of being stranded in airports). That said, I recently worked out that, during the teaching semester, I work an average 20 hours unpaid overtime per week in comparison with my previous 9-5 job . This isn’t particularly unusual for an academic involved in research but it’s important to take a break sometime to recharge the batteries. This year, I bought a last-minute package with Crystalski to Fieberbrunn, a little known resort in Tirol, Austria. 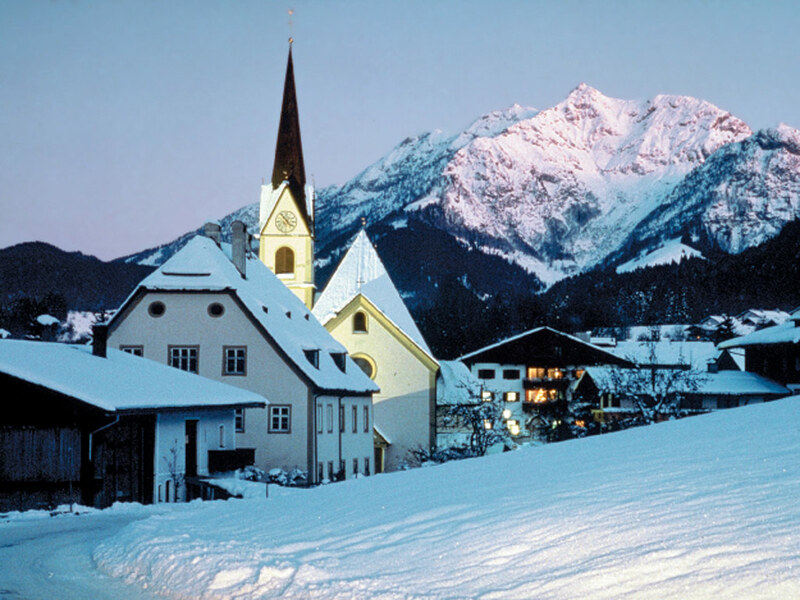 The village is only a few kilometres away from the well-known resorts of St Johann and Kitzbuehel, but so far undiscovered by English-speaking tourists. I signed up for a few advanced sessions with the local ski school – skiing is a highly technical sport and one can always learn a great deal from Austrian ski instructors (not to mention hearing some German). Sure enough, we spent several days trying to absorb tips on posture from Ottmar F., a leading free-rider and scarily qualified instructor from these parts. 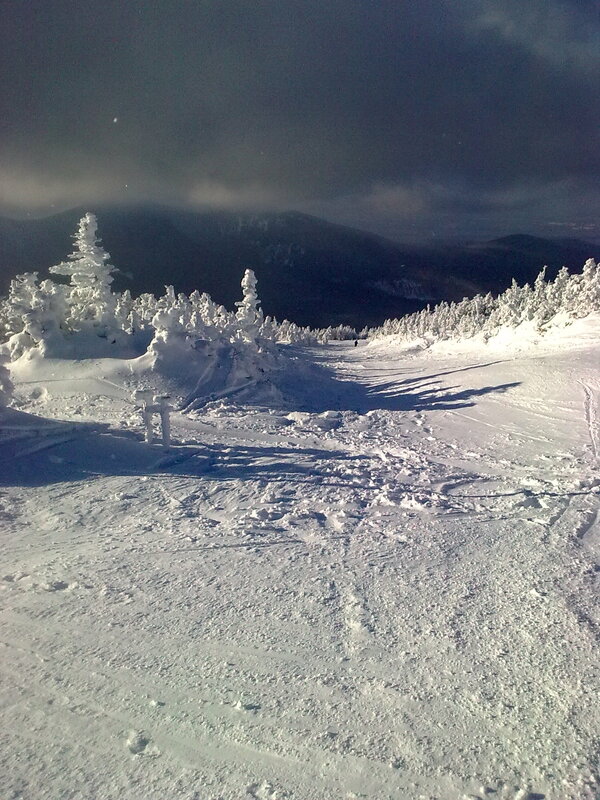 Best of all, the course concentrated on some gentle off-piste skiing, always my weak spot. It’s not the easiest of holidays – each day, I would return exhausted to the hotel and spend an hour recuperating in the pool, before doing some study in the evenings. I was happy enough to hand back transceiver and avalanche pack yesterday, that’s enough exercise for a while! Last week was mid-term and I had a few days skiing in Chamonix in the French Alps. 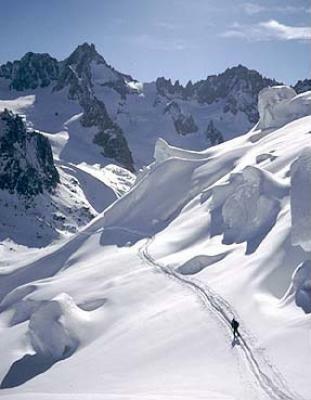 Chamonix lies in the shadow of Mont Blanc, the highest of the Alpine peaks, and the area is famous for its challenging snowsports and mountain climbing. 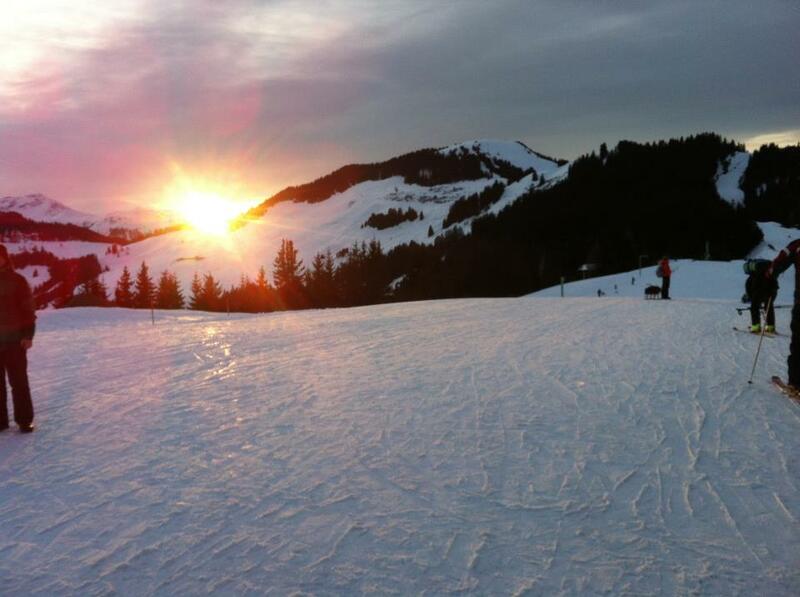 It was surprisingly easy to get to (1 hr 30 mins from Geneva airport) and the skiing certainly didn’t disappoint. 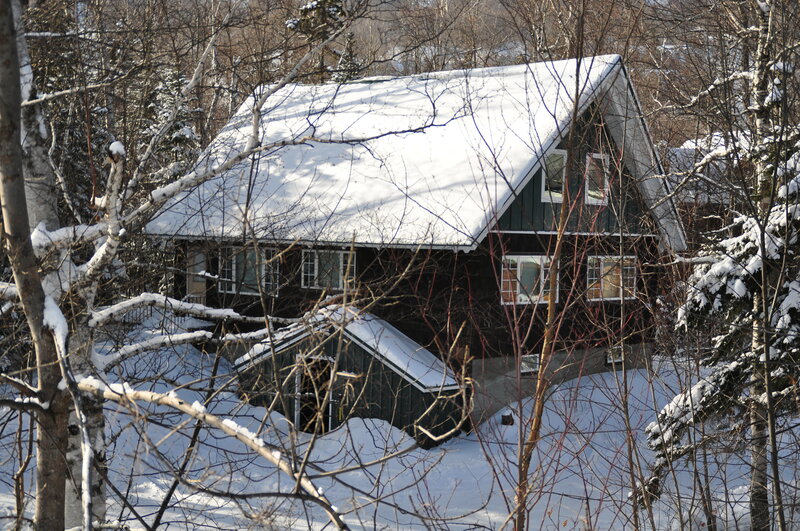 I stayed with my brother and his family in a tiny chalet in Les Praz, a small village just outside the town of Chamonix. 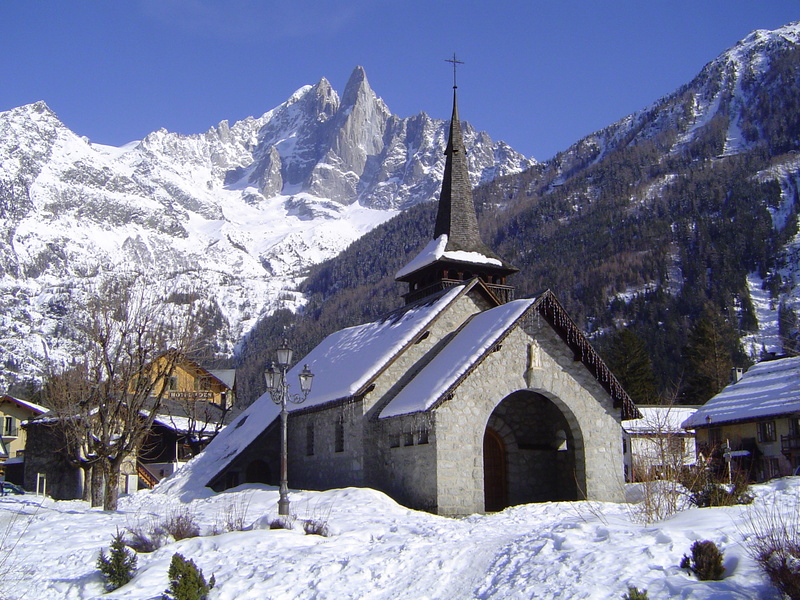 The great advantage of this village is that it offers easy access to La Flègere, a large ski area on the opposite side of the valley to the crowds at Chamonix. We had one day’s skiing out of Flegère, another at Argentière, the next resort along the valley, and the final day at Le Tour, further down the valley again. 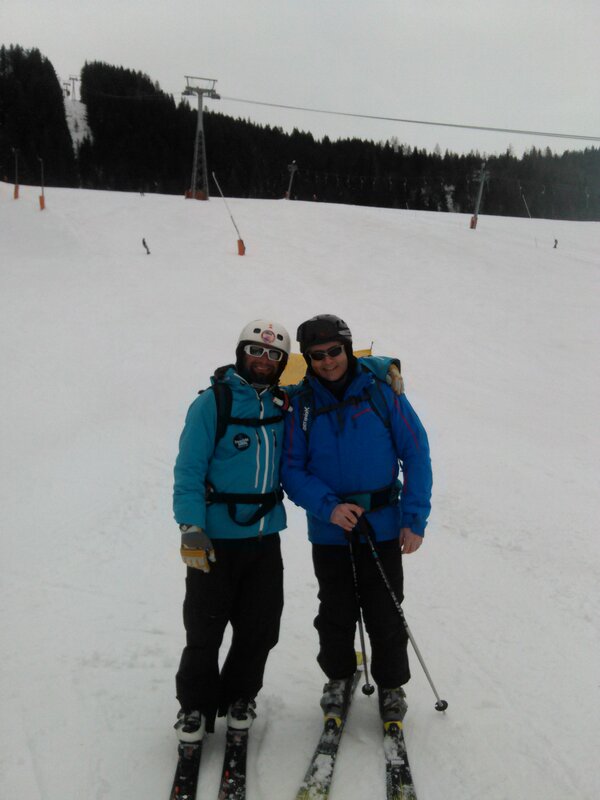 The skiing was great in each case; lots of snow, steep pistes and clear skies almost every afternoon. An extra thrill was the fact that one could ski over the Swiss border and have lunch in Switzerland. Of the three resorts, Flegère was my favourite; plenty of trees, nice unpisted runs under the lifts and not too many people. That said, I retain my preference for skiing in Austria. One reason is that, like many French resorts, Chamonix has relatively few gondolas, a large number of button lifts and uncovered chairlifts. 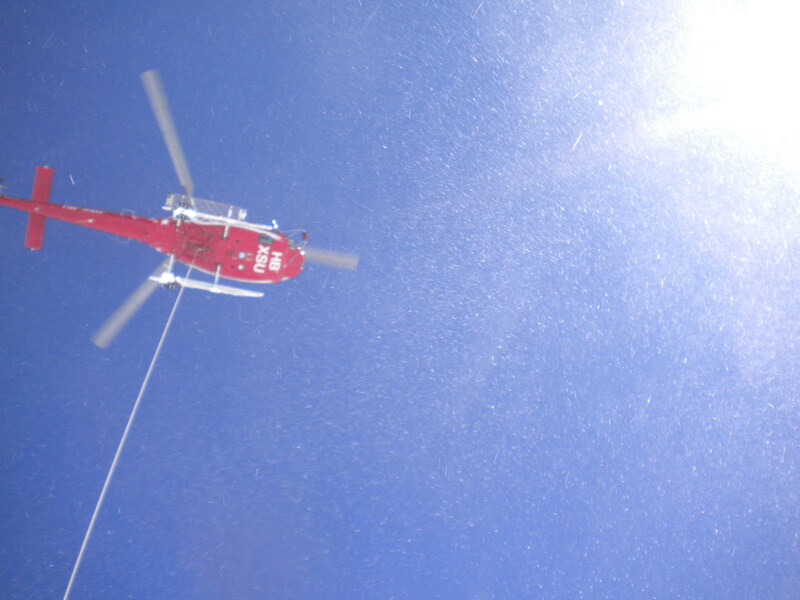 Button lifts are quite tiring on the feet after a while, while exposed chairlifts can get very cold – a concern at altitudes above 1500 m where the midday temperature is often below -10 degrees Celsius. 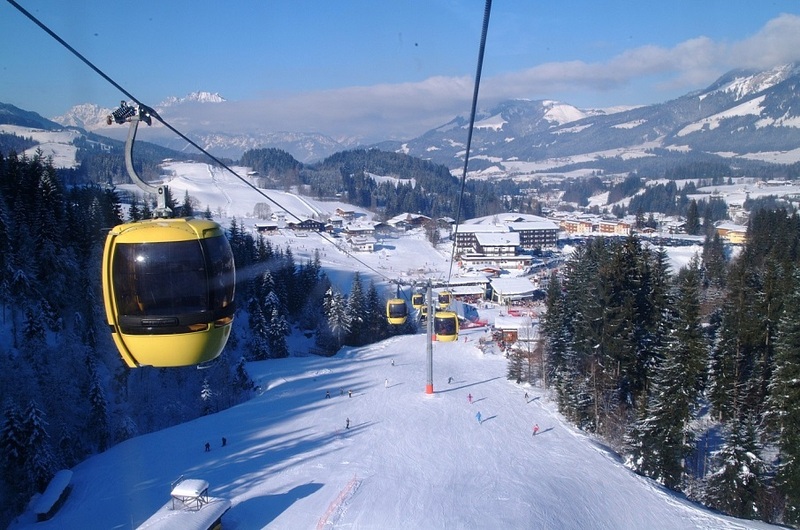 In Austria, almost all the main resorts have installed a healthy distribution of small, efficient gondolas and covered chairlifts (in the latter case, the chairs are heated by solar panels in the plastic cover). 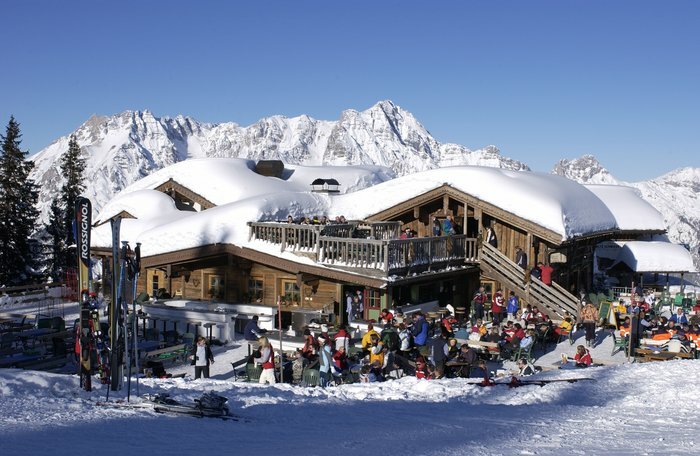 There were also far fewer restaurants and cafes on the Chamonix slopes, which I found quite surprising for such a famous resort (coffee breaks are important for the tired skier). So while the French are justifiably proud of their resorts, I still prefer Austria! I managed to finish my exam corrections before Christmas this year, so I’m now back in Austria for some snowtime, this time in Niederau, a quiet village in the Wildschönau valley in the Tyrolean Alps. I was pleased with my recent article on the history of cosmology appearing on the ArXiv on Christmas Eve, with another well on the way, so I grabbed the last place on a cheap’n’ cheerful package with the Irish tour company DirectSki.com and it has turned out to be one of those holidays where everything goes right. Instead of the usual B&B, I’m staying in the Hotel Harfenwirt, a large family-run hotel a stone’s throw from the bottom of the ski-lift. It’s a really nice old-fashioned hotel, with plenty of Austrian and German guests (always a good sign) as well as Irish and British skiers, very sociable at dinner in the evenings. Things were a little chaotic on the first night of arrival, but the hotel has a real old-world charm that you just don’t get in the larger chains. As a bonus, my room has a balcony overlooking the slopes, not to mention the jacuzzi, swimming pool and sauna downstairs, perfect for tired thigh muscles. I speak reasonable German and I’ve skied since I was a child, so I’m very much at home here..
As for the conditions, it’s a good season in Austria and Switzerland so far. Plenty of the white stuff, yet lots of days with clear skies. That said, it hasn’t snowed in the Wildschönau valley for three days so it’s beginning to get a little icy on-piste and cruddy off it. For the ski enthusiasts amongst you, I tried out some Salamon deep-snow skis for off-piste today, but without much success. I didn’t find they made much difference in the deep snow (my weakest point) and they were hard work on-piste, not a very firm grip on the icy bits. So I’ve swapped them for a pair of Fischer all-mountain skis for tomorrow (the advantage of renting kit is that you can try out different types of skis). I have just discovered that we are only one valley away from the town of Alpbach, the Tyrolean village well-known for its association with the great Austrian physicist Erwin Schrödinger. 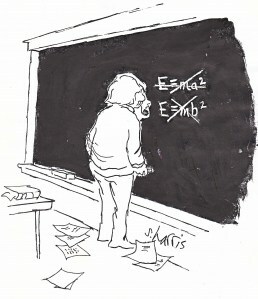 It was during a romantic break in Alpbach that Schrödinger discovered his famous wave equation, an important advance in the development of quantum physics (legend has it that he made the breakthrough in a burst of creativity between bouts of skiing in the mornings and romantic trysts with his girlfriend in the evenings, although her identity has never been confirmed). Schrödinger was very fond of Alpbach, and moved there full-time on his retirement from the University of Vienna; indeed he is buried there. (John Gribbin published a very nice biography of Schrödinger recently, you can find my review of it for Physics World here). Perhaps someone should start an annual winter conference in quantum physics in Alpbach in memory of Austria’s greatest physicist. I’d certainly be on for that! 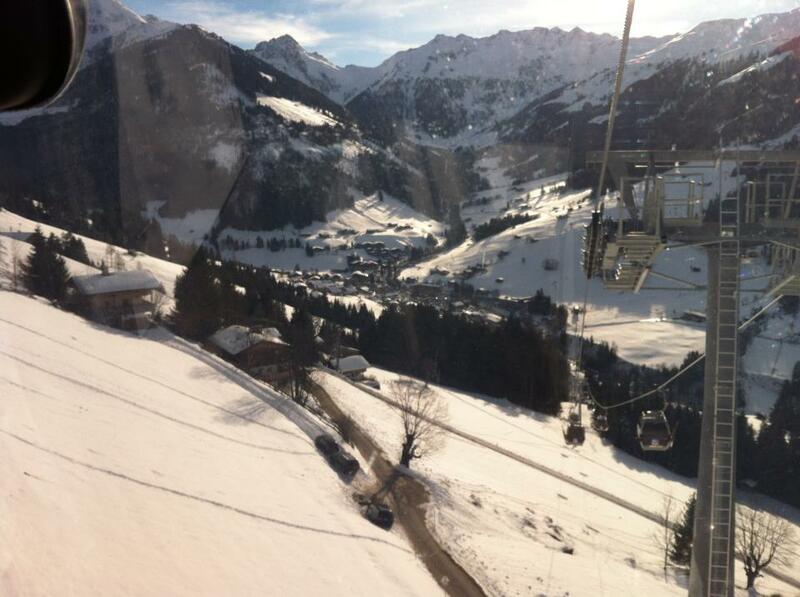 This week I’m spending half-term in Saalbach in the Hinterglemm valley in Austria. I have a ton of work to do but given the current snow conditions in Europe, I couldn’t resist a cheap last-minute package deal. 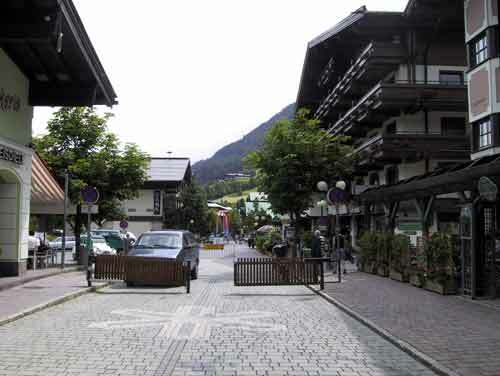 I’ve never been to Saalbach before and it’s lovely, one of those tiny Austrian towns where the village centre consists of a single cobblestone street lined with traditional buildings (pedestrianized of course), with ski lifts to the peaks branching off at the top and bottom ends of the street. It doesn’t hurt that the British half-term is over; the main language in the resort is German and it seems to be mainly German and Austrian skiers on the slopes, always a good sign. The snow is as good as I expected but visibility was terrible until today. It takes a lot of the fun out of skiing if the light is poor – it makes the skier stiffen up and tire easily (not to mention taking the wrong turn at every intersection). 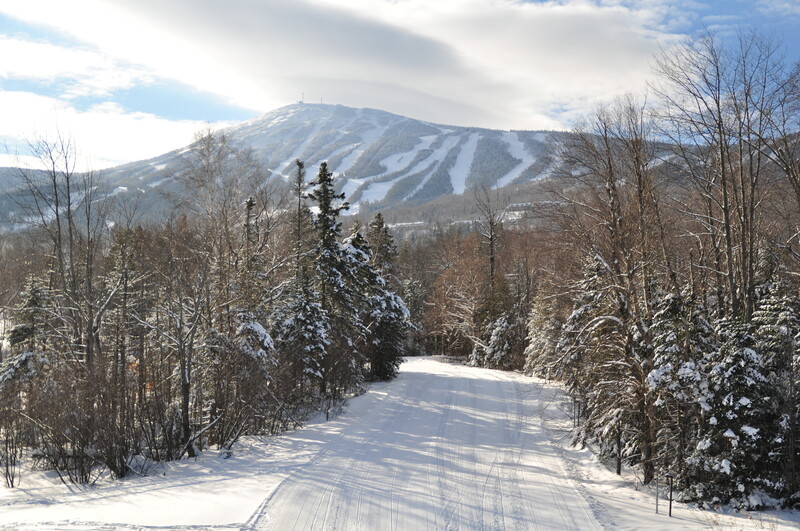 However, the sun was out today and we had a dream combination of clear skies, sun and powder. The weather is expected to remain like this for the rest of the week, yippee. I usually go skiing with clubs like the Ski Club of Great Britain or the Frankfurt Ski Club, but this week I’m on my own, skiing during the day and studying in the evenings. It sounds better than it is – I’d forgotten how tiring on-piste skiing becomes after a while, a bit like driving on the autobahn except worse because you have to avoid a lot of out-of-control skiers and boarders. Luckily, there are plenty of ‘ski touring’ routes just off the main pistes, always my favourites, with plenty of powder. 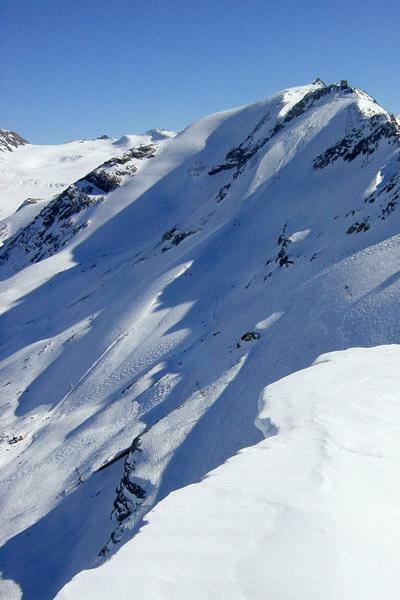 That said, I’m joining an Austrian group tomorrow for some real off-piste ouch! I know my legs will be jelly after an hour (‘we’ll just walk up to that ridge over there’), but it’s worth doing if only for the views. The ski-tour turned out to be a sort of group lesson whilst touring around the mountain and was absolutely great. It’s amazing the bad habits that develop if you don’t have a checkup every now and then, I must do this more often. That said, it was no easy stroll through the woods – one of us clocked our group doing a speed 96.7 km/hr down a Schuss! 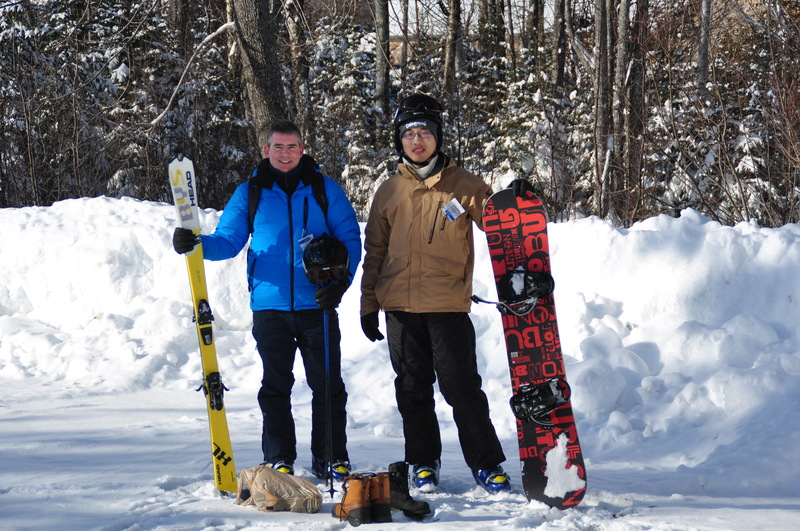 This week I had my first ski holiday in North America, at the Sugarloaf Mountain resort in Maine. I was there with the Harvard Graduate School of Arts & Sciences and it was a fabulous trip, comparing favorably with many resorts in Switzerland and Austria. We drove 5 hours north from Boston and it was certainly worth it. The resort was superb; beautiful American backcountry with stunning scenery, plenty of challenging slopes and almost no-one in the lift queues (admittedly this was early in the week). The accommodation was fab, lovely snug little condos about a ten minute walk from the resort centre. Most importantly, we were blessed with good conditions; plenty of recent snow, decent visibility, even some sun and clear skies on the last day. That said, there were some major differences with Europe. First, the lifts; the old uncovered 3- and 4-seaters you never see in Europe now (except France). I hate these lifts: they are deadly slow because there is only one drum, and you freeze if it’s windy or snowing because there is absolutely no cover. A second difference was the ski hire; standard good quality HEAD carving skis, but no twintips or soft skis to be had at any price (I like twintips for moguls and rough terrain). Presumably the hire market is different in the US; while everyone hires in Europe (because of the flights), most American skiers will bring their own gear by car. Finally, there was the cost; we got a great deal through the Harvard club, but I noticed the standard price for ski hire and lift pass was high, comparable with the big-name Swiss resorts. All in all I was sorry to leave. 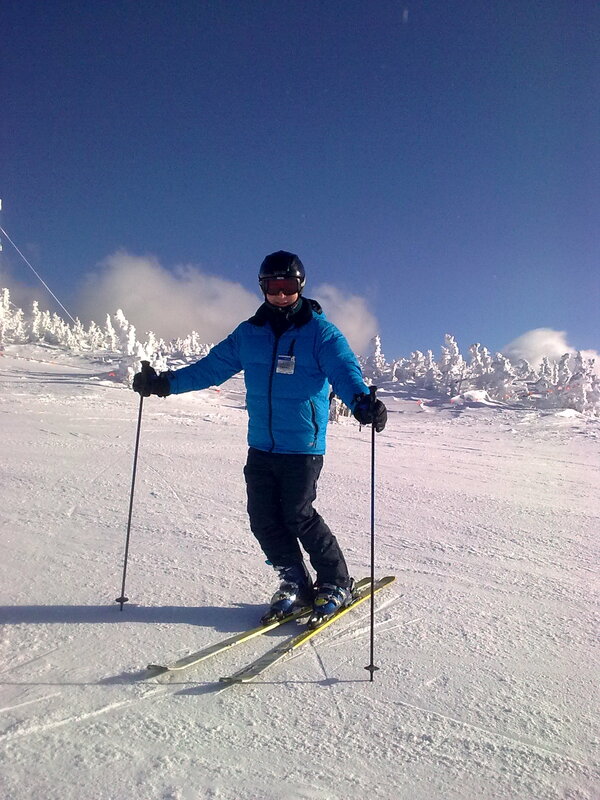 Term starts up at Harvard on Monday, but hopefully I’ll get some more skiing on the East coast in the spring. What did I say about those lifts? I just heard that the resort had a major problem with one of their lifts just two weeks ago. 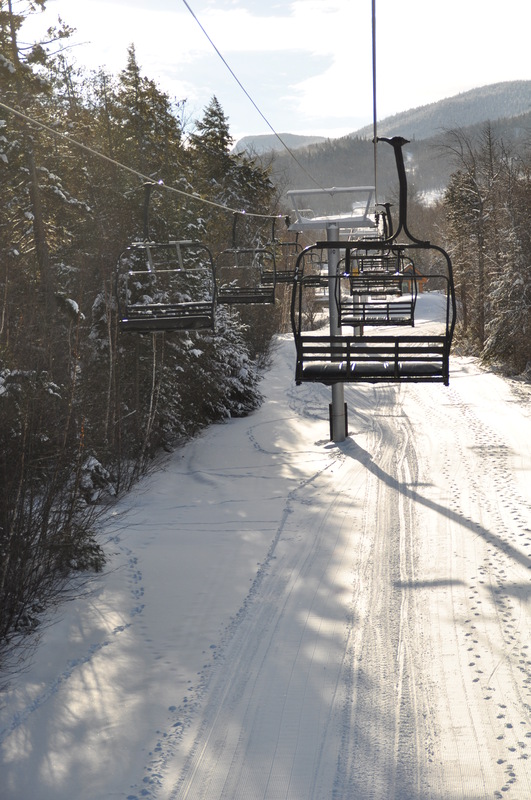 One of the lift cables derailed, injuring six skiers and leaving dozens others stranded for several hours. You can read news reports of it here. This week I’m back in Zermatt, Switzerland, one of my favourite ski resorts. Teaching term ended on March 29th and then it was straight into the Spring Weekend Meeting of the Institute of Physics in Ireland (more on this in next post). I figured I’d be in need of a good holiday after all that so I booked myself a week’s skiing in Zermatt, the famous little town just below the Matterhorn. On the Dublin-Geneva flight on Monday morning, I found myself sitting next to ‘Lord of the Rings’ Steve Myers! Steve is the director of accelerators at the Large Hadron Collider at CERN; he gave us a fascinating overview talk of the LHC operation at the weekend IoP meeting, so it was certainly an interesting flight.. Here in Zermatt, the snow is fine both on- and off-piste, if a bit icy in the mornings and a bit slushy in the afternoons.The Ski Club of Great Britain are here in force as ever, with two different reps, and I’ve been doing plenty of off-piste powder skiing with them in safe conditions. It really is a unique service they offer, perfect for the skier who arrives out solo. 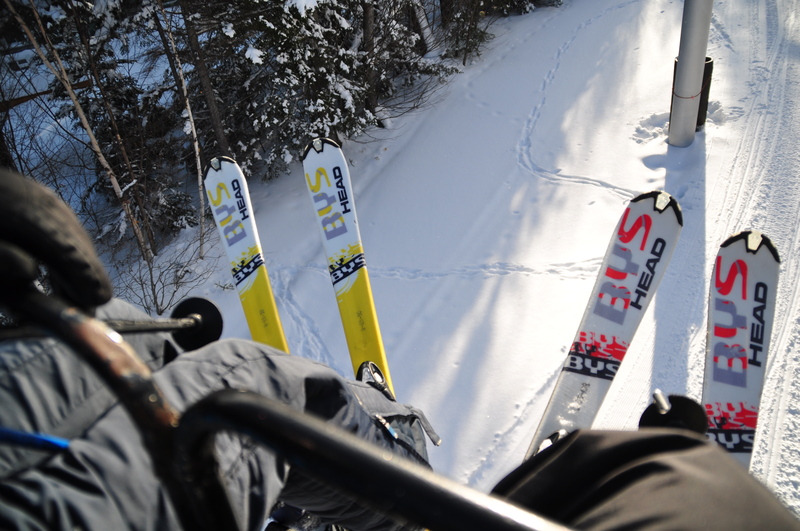 Not to mention a ready-made gang of fellow skiers to hang out with after skiing..
Re skis, this year I’ve deserted twin-tips for the Rossignol ‘funski’ – however although they’re lovely and light on the moguls, they’re not really heavy enough for the deeper snow off-piste. Tomorrow I’ll change to a heavier, allround ski by Atomic, best for variable conditions on and off piste. Zermatt itself is as gorgeous as ever, the archetypal Swiss ski resort, with superb restaurants, no cars and unbelievable views. I often come down off the mountain quite early, just to stroll up and down the Hauptsrasse and look at the sights. Tuesday’s LHC switch-on got very good coverage in the French, German and Swiss newspapers on Wednesday. All the big nationals had a picture of the LHC control room on the front page, backed by well written, informed articles. The Irish Times also had a front page picture and some nice articles (including one quoting me on the question of Irish membership of CERN: apparently I’m an eminent scientist) but there was very little coverage in the British papers. As for the Americans, the International Herald Tribune had quite a jaundiced article, emphasising all the faults and delays, explaining none of the science and questioning the rational of the experiments…hmm. The conditions in Zermatt are so good I’ve stayed on an extra week. 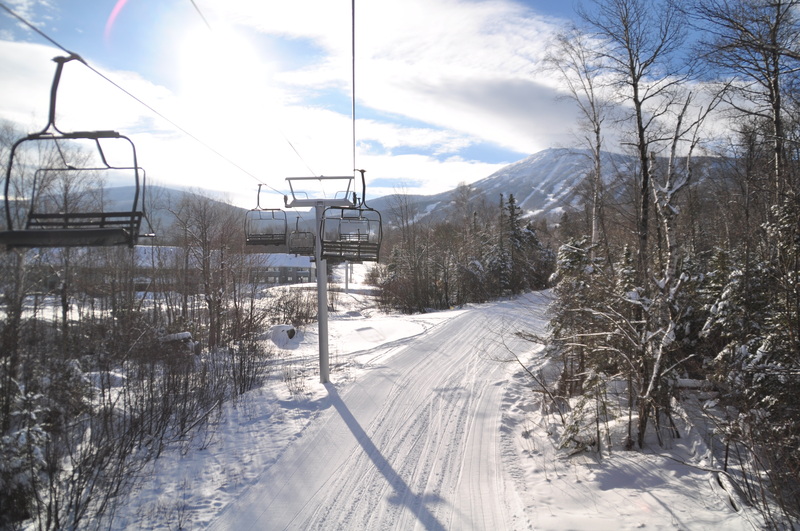 Between powder snow, sun and clear skies, it’s hard to leave. 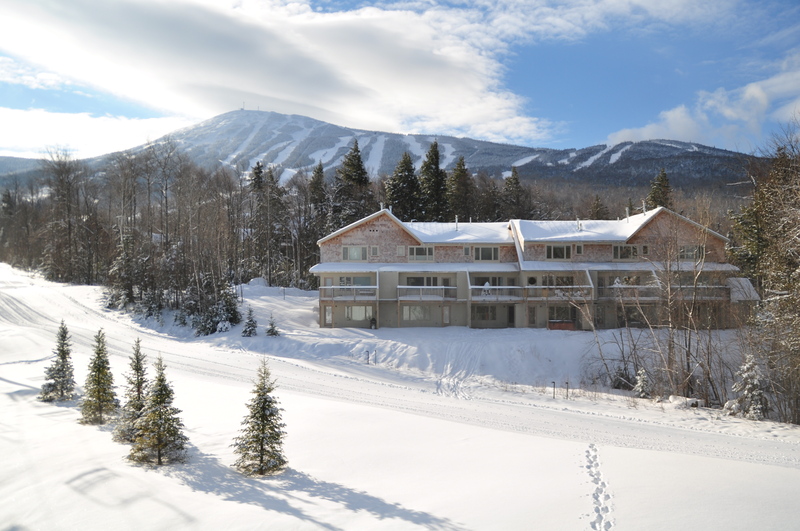 Even my hotel is closing for the season today and they’re moving us dedicated skiers to a different place for the rest of the week! I never did change the Rossignol 8O funskis, they just got better an better. 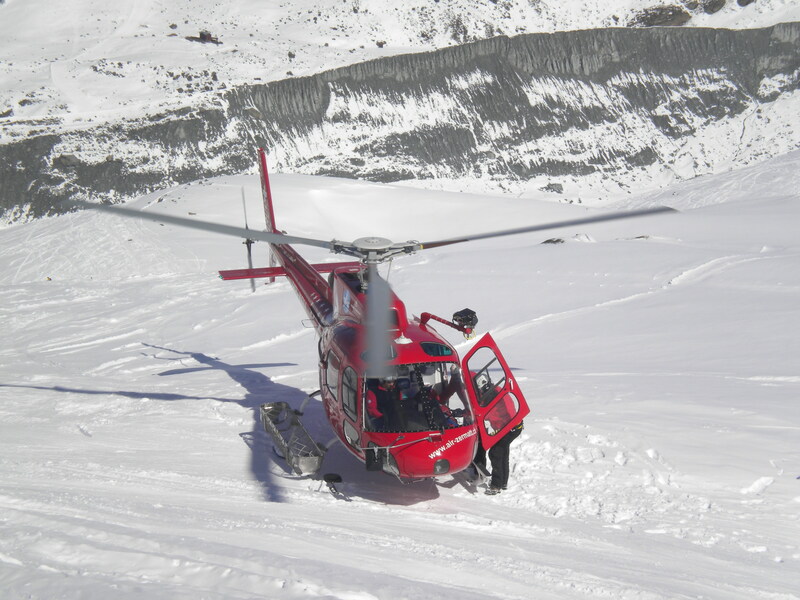 Sadly, one of our party twisted a knee in a mogul field yesterday and got helicoptered off; I’m pretty sure that wouldn’t have happened on a softski. Ah well, them’s the risks..